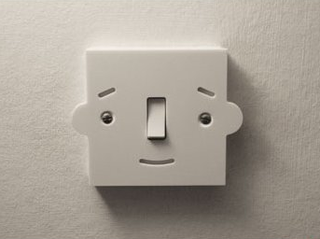 John Caswell is looking for a manufacturer for his playful switch plate called, well, Mr Switch! They are a prototype service that some use to JIT manufacture. They offer a wide range of materials and cut from illustrator files. I was going to say the same thing as Trey, above. P.S. I luuurrrve Mr. Switch! How could anyone turn that idea down?! The face is absolutely perfect and it would look fantastic in a wee one’s bedroom. omg, i totally needed this link, trey. thanks for the info! and re: mr. switch, totally cute. Can we have an image when switched on (with nose up) ? I’d have those on my house. Except it’s not a plug socket. I want some! Great idea! I like it so much. How can i have one? any ideas?